Tasks like bomb disposal, space exploration and construction could be made safer for humans using this dextrous robot hand, which can transmit feeling of touch. The hand combines technologies from three companies — robotics by the Shadow Robot Company, tactile fingertip sensors from SynTouch and haptic feedback gloves from HaptX. 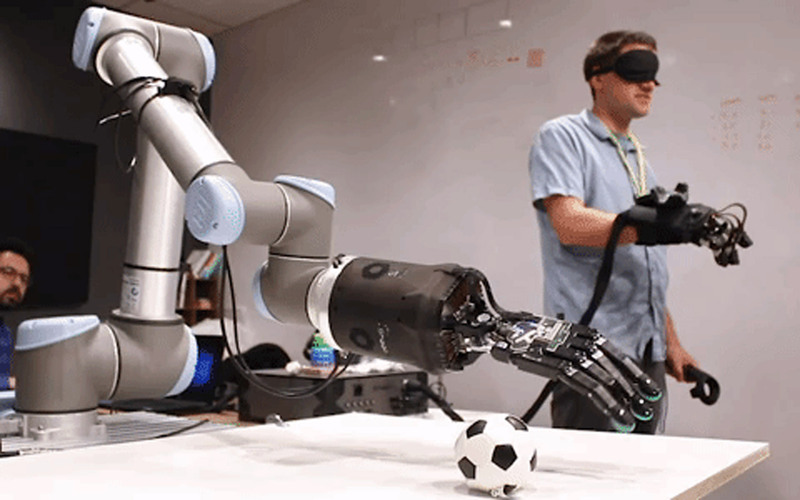 It means that when a remote human operator directs the robot to pick up a ball, they can feel the sensation of touching the object under their fingertips in real time. 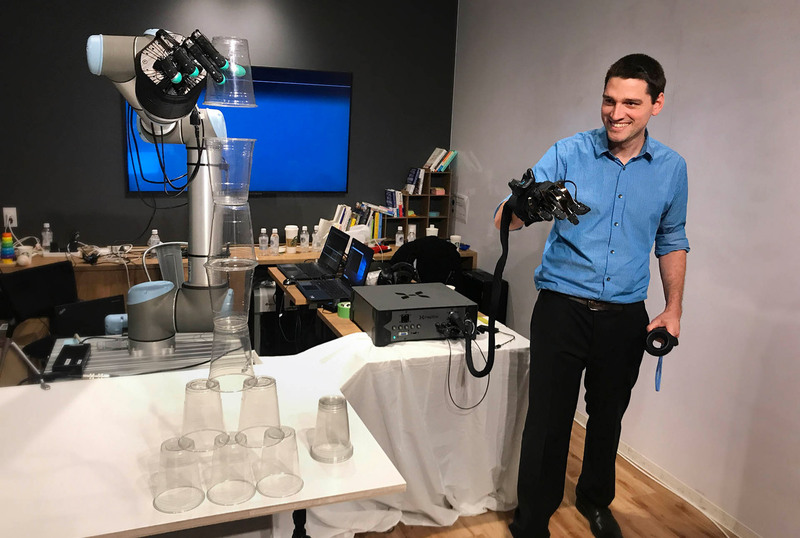 An operator based in California did just that with a robot hand situated in London, in a demonstration given by the three companies. They also made the robot spoon food from a bowl, type “Hello, world!” into a computer and play the notoriously delicate game of Jenga. 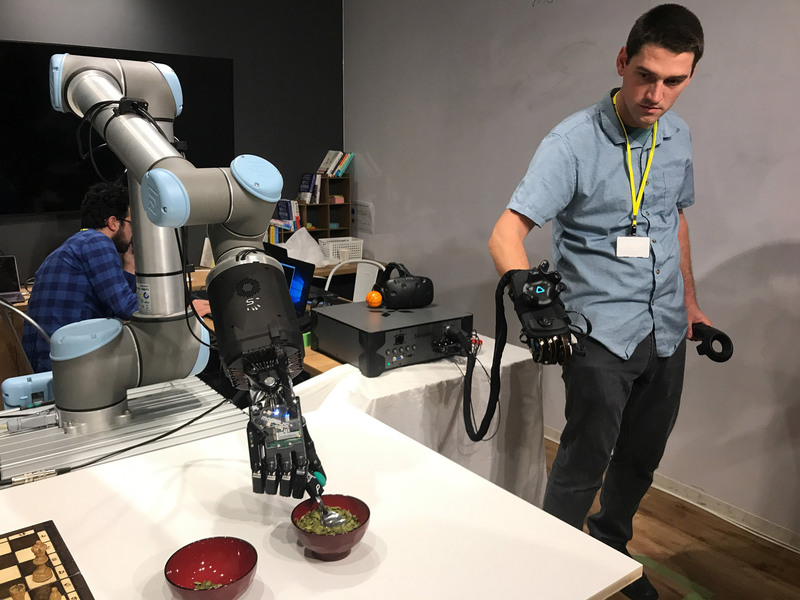 The Shadow Robot Company believes that while haptic robots have had several incarnations over the years, this is the first time the technology has been used in this particular way. 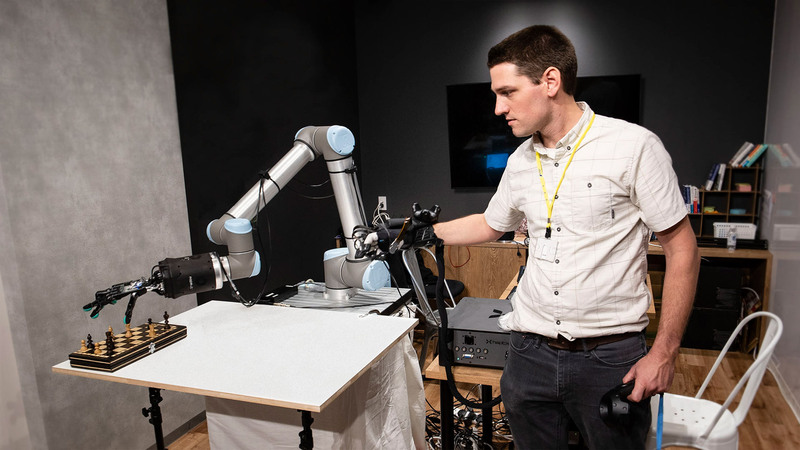 “Successful demonstrations of haptic robots transmitting touch in previous eras have been achieved but this is the first time it’s been done using a haptic robot hand,” the company’s managing director, Rich Walker, told Dezeen. “There are many challenges in the development of any haptic device including high accuracy, high precision control of force and position, dexterity and kinematic limitations,” continued Walker. He believes this kind of technology cold one day enable remotely operated robots to be used for all kinds of sensitive jobs. A haptic robot hand could also be used to protect its human operator in tasks like bomb disposal, space exploration and construction — or to protect the product from the human in an area such as pharmaceuticals, where the presence of people is a potential contaminate. The Shadow Robot Company is based in London and Madrid, while Syntouch and HaptX are both Californian. They were brought together for the project by Japanese airline ANA, which runs an initiative promoting the development of avatar technology. 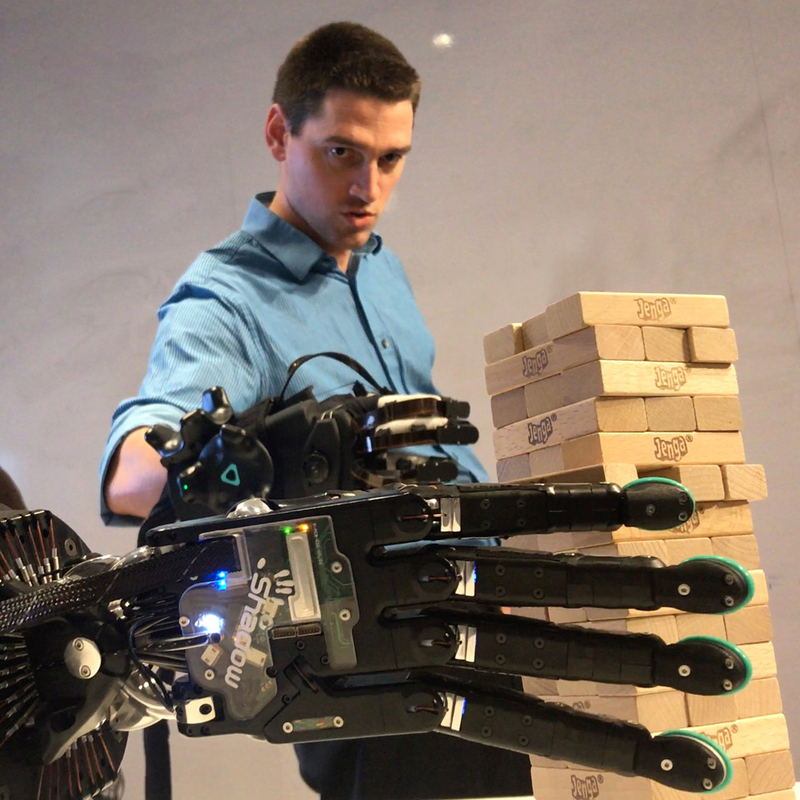 Other recently made dextrous robot hands include OpenAI’s Dactyl, which can twist a block into almost any orientation, and Delft University of Technology graduate Rob Scharff’s Soft Robotics limb that shakes hands with people. The post Robot hand with sense of touch lets humans feel delicate objects remotely appeared first on Dezeen.